Going to the world’s most famous Base Camp that too in a helicopter. Doesn’t that sound cool? With the helicopter facilities to the Everest region, you’ll get to have the coolest trip that you can imagine. You must have heard of many encounters of trekkers who have experienced various difficulties while trekking to Everest Base Camp. And that is expected. You travel to the tallest mountain in the world and that too in the snowy surrounding. Add walking about 2 weeks to that. Doesn’t that sound a bit difficult? So, you can throw all your trekking related fears and get ready for the exciting and comfortable tour to the Everest Base Camp in a helicopter. Irrespective of the cold weather and your trekking difficulties, Everest Base Camp helicopter tour will take you for scenic views to the Everest Base Camp and Kala Pathar. You’ll enjoy the views of the Himalayas in the flight as well as when you land. With such exciting features, it shouldn’t come as a surprise that the Helicopter tour to Everest is becoming the most popular way to get alluring views of the Everest. You might feel that the Everest helicopter tour is very expensive. But that is not the case. 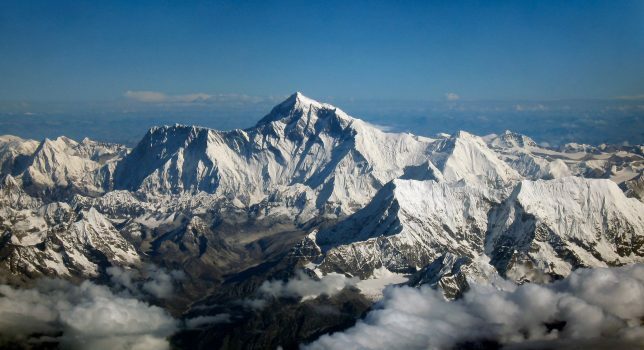 The helicopter tour to Everest is quite cheap and can be afforded by anyone who wants to get to Everest. 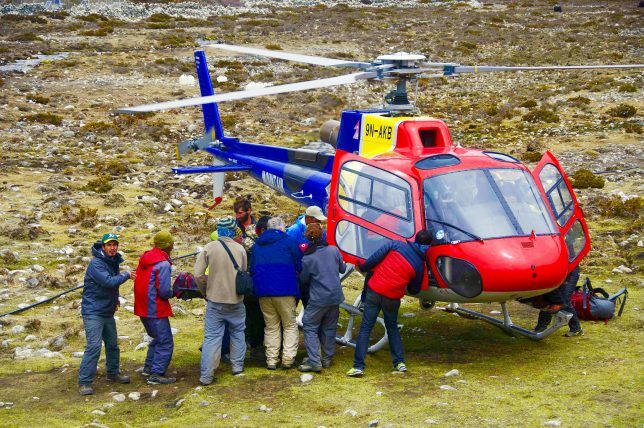 The helicopter tour to the Everest Base Camp does come as cheap as 800-1200 US$. This is quite cheap. 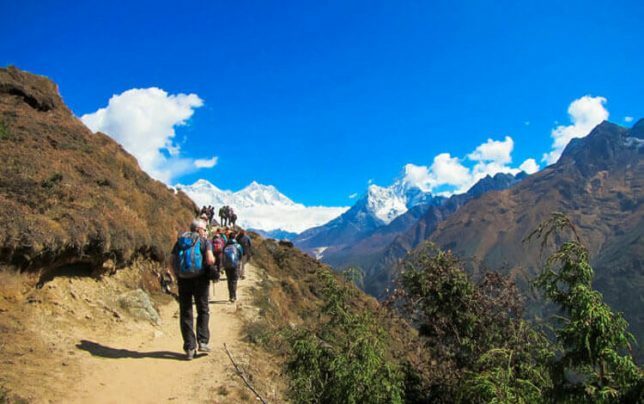 If you want to trek to Everest, you have to spend a lot of money on packing, count the expenditure along the trekking routes in the form of accommodation as well as food. And if you add all your expenditure and compare the costs, you might find that you can enjoy the helicopter tour at much cheaper price than the trek. Also, add in the fact that it will save you a lot of time in terms of your preparation. And since you will spend months and months for preparation to Everest, you have to spend a lot of hours in training or preparation of other sorts. And time is money, isn’t it? Thus, if you analyze the total time spent as well as money for the preparation of the Everest Base Camp trek with the Helicopter tour, you will find the prices are comparable. And that Helicopter tour can even be cheaper!!! The flights to the Everest Base Camp will be smooth. The flights will take off in the morning in the cool and fresh morning air. If you have been on a flight, you know how easy going things get in flight. The constant worry about fatigue and exhaustion will all be taken care of if you choose to go to the Everest Base Camp in a helicopter ride. In the conventional method, you have to constantly worry about your energy levels as well as proper diet. You can throw all these away when it comes to the helicopter ride. You also don’t have to worry about packing as well as carrying extra stuff in your backpack for protection and for emergencies along the long routes of trekking. You can also have a peace of mind as you travel because you get to travel either in the privacy of your family or with very few fellow travelers in the helicopter. This means that you don’t have to worry about theft or haggle of traveling with heavy trekking traffic. The helicopter tour to Everest has various options. There are three different options for you. You can either go in a private helicopter tour, go by joining a group or do a helicopter trek. Group joining is for all of those who want to join other travelers and cut down their expenses. This comes as cheap as 800-1200 UD$. We will arrange other people who are travel enthusiasts like you to travel with you to the Base Camp. This increases bonding among people of various background. You will also get a chance to decide, as a group, where you want to go for breakfast. 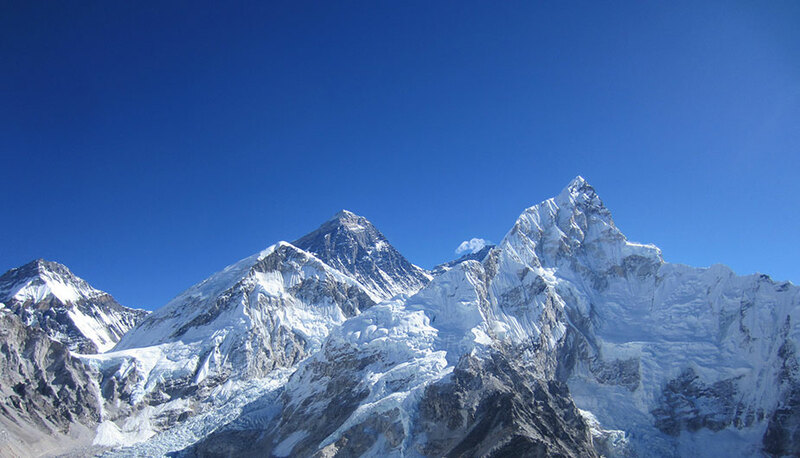 For people wishing an intimate experience with their families or loved ones and the Everest, we would recommend the private helicopter tour to Everest. This tour costs you around 3500-3600 US$. There is practically no difference between the two tours. 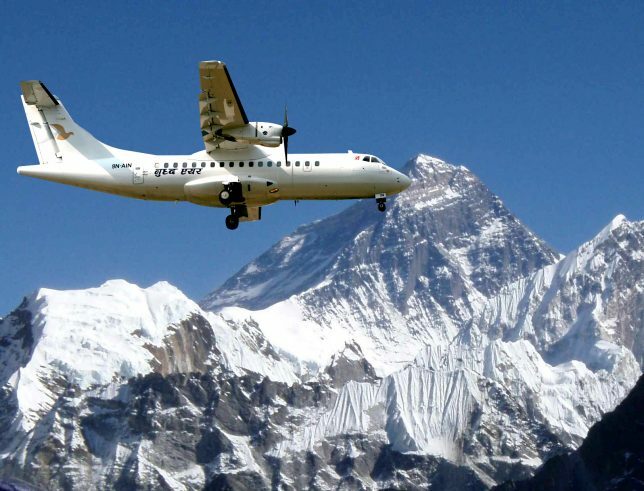 In both the cases, the flights to Lukla will take off from Kathmandu at the same time. The time that you will spend at the Base Camp and/ or Kala Pathar will be the same too. If you want to experience some trekking in the Everest region and also have the helicopter ride, you can try the Helicopter trek. You can go for some light trekking in Namche Bazaar and Phakding. Then, from Namche, we will take you to the Everest Base Camp and Kala Pathar. The two types of helicopter tour will give different pleasures. Everyone has less and less time for traveling. In such a competitive world, you might need to take care of your work/ studies with great care and therefore have a limited window of time for traveling. Everest Base Camp Helicopter tour will be perfect for you if this is the case. Even the smallest treks in the Everest region and to the Base Camp will take around 2 weeks. You have to take into account of the proper rest and acclimatizing to the climate. But you can get to the Everest Base Camp in a single day. You’ll start in the morning, and be there in 35 minutes. You’ll also get hours to spend at the Base Camp region and view the Everest region. You’ll also get back to the safety and comfort of your hotel on the same day. This will give you a lot of free time to visit other parts of Nepal in your busy schedule. After all, Nepal has many places that you shouldn’t miss. You can take all the time you save from the Helicopter tour to the Everest Base Camp, and get to other Base Camps and beautiful valleys in Nepal. Helicopter rides to the Everest Base Camp are extremely safe. When you trek to the Everest Base Camp, you have to adjust your bodies accordingly. Otherwise, you might suffer from muscle fatigue, exhaustion as well as altitude sickness. This is mostly caused by the lack of oxygen. When you go for a helicopter ride, oxygen will be supplied to you in the helicopter itself. The regulation will be automated when the altitude gets above 3000 meters. After all, the altitude sickness affects the body heavily after 3000 meters. Also, on a helicopter tour, in cases of emergency, you will be transported to a hospital for treatment. Which hospitals you will be taken will depend upon your illness. If the situation gets really severe, You will be transported to a hospital in the helicopter itself. One thing you have to keep in mind whenever you travel is how wonderful the places on the route are. And when you are on your way, the places you will see will be awesome. You’ll start your tour in the morning at 6 am. Getting to the airport from your hotel and boarding the helicopter will take approximately 1 hour. So at 7 am, the flight will take off. In about 35 minutes, you will get to Lukla. The fueling ground time is about 10 minutes. The flight is scenic. You will see many mountains from your flight. The Himalayas will be visible in your helicopter ride. You will then get to Lukla, which has the most awesome airport in Nepal. You will also get a view of other high mountain peaks. You will get to see Mt. Lhotse and Mt. Cho Oyu. After landing at 8:30 am, you will go to the Everest Base Camp. The Everest, however, will not be visible from the Base Camp. We will also take you to Kala Pathar. From this place, you’ll get a breathtaking view of the Everest. We will also take you for breakfast in hotel Everest View. From here, you can enjoy your breakfast with a stunning view of the mountains that you have come to visit. There are various things that are on offer in the Everest Base Camp helicopter tour that is not on offer in other trips to Everest. Besides, which trip offers you so much safety, so much comfort, saves so much time and provides such wonderful medical assistance for people in need? The food is wonderful, the flight that you will take is as scenic as you can imagine and you will go with ease. The helicopter tour to EBC seems like a dream. When are you making it come true?